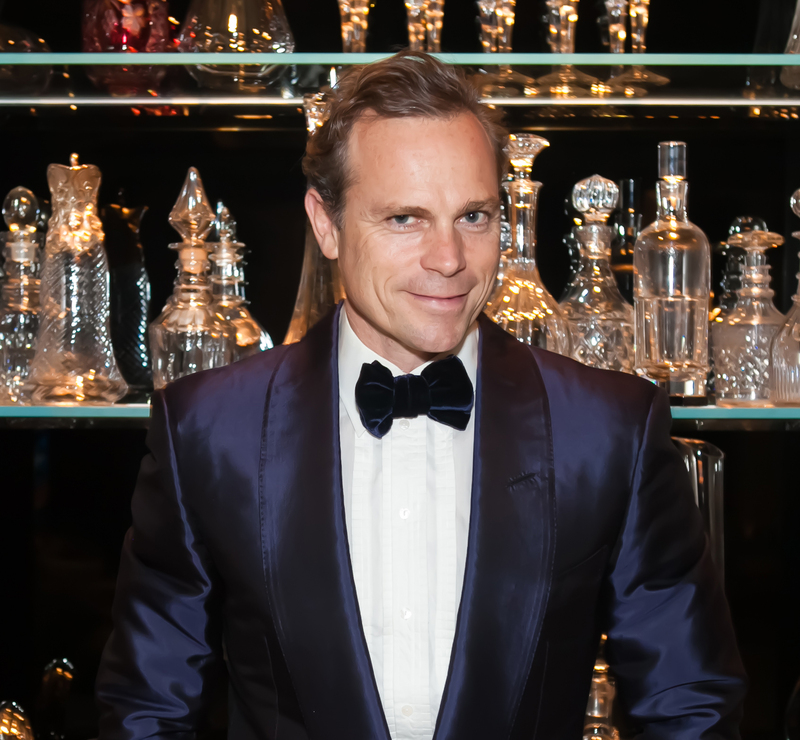 Jean-Charles Boisset was born into the world of wine in the village of Vougeot, Burgundy, France. His lifelong passion for wine began as a child, growing up above the cellars and within view of the centuries-old vineyards of Château du Clos de Vougeot, the epicenter and birthplace of Pinot Noir and Chardonnay. His parents, Jean-Claude and Claudine, founded the family winery in 1961 with an innovative and entrepreneurial spirit in one of the most traditional winegrowing regions in the world. Today, the family collection includes wineries that share more than 20 centuries of combined winemaking heritage and tradition in some of the world’s most prestigious terroirs, from Burgundy to the South of France, to California’s Napa Valley and Russian River Valley. Jean-Charles leads the family firm with passionate commitment to fine wine, history, quality and a deep respect for the environment. He implemented organic and Biodynamic farming at all of the family’s estate vineyards in Burgundy and California. Together with his sister Nathalie, he created Domaine de la Vougeraie, uniting the family’s Burgundy vineyards, including prestigious monopoles such as the Vougeot 1er Cru Clos Blanc de Vougeot — planted in 1110 by the Cistercian monks, into one of Burgundy’s leading domaines. He instituted the concept of "viniculteur", redefining the company’s traditional role to encompass a close and active interest in all aspects of winegrowing to ensure premium quality and sustainable farming practices. He refashioned and elevated the family’s founding winery bearing his father’s name — Jean-Claude Boisset — into a premier boutique vigneron in the Cotes de Nuits. In 2003 Jean-Charles brought DeLoach Vineyards, a pioneering producer of Pinot Noir, Chardonnay and Zinfandel in Sonoma’s Russian River Valley, into the family collection. He immediately recognized the similarities to Burgundy: each boast a confluence of river, mountains, and soil that is perfect for growing world-class Pinot Noir. He began a mission, inspired by his Burgundian heritage to produce terroir-driven wines with the same commitment to terroir and organic and Biodynamic farming he had instituted in Burgundy. In 2009 Jean-Charles’ quest for California wineries with a sense of history, heritage and a pioneering spirit, led him to Raymond Vineyards in the Napa Valley, where five generations of family winemaking anchors it to the earliest days of the Napa Valley. Under his vision, Raymond has become a leading producer of luxury fine wines, implemented organic and Biodynamic farming on its 150 acre Rutherford & St. Helena estate vineyards, and become among the most dynamic winery destinations in California, earning “Winery of the Year” honors from Wine Enthusiast magazine. In 2011, Jean-Charles’ dream of championing California wine history became a reality when Buena Vista Winery, California’s first premium winery, founded in 1857, became a part of Boisset Family Estates. JCB continued its growth with the introduction of JCB tasting lounges in St. Helena (2011), at the Ritz-Carlton, San Francisco (2015), Yountville in 2016, including the épicerie Atelier Fine Foods, the JCB Salon Privé in Yountville in 2017, and in Healdsburg in 2018. In addition, he has expanded the world of wine to include a lifestyle vision: he has created a namesake jewelry collection sold at each of the JCB Salons, as well as a collection of candles and lifestyle accessories that exemplify the JCB world of hospitality and entertaining. Jean-Charles continued his legacy of pioneering innovations in 2018 with the introduction of JCB Spirits, a luxury spirits collection of vodka and gin distilled from Burgundy wine – Pinot Noir & Chardonnay that includes vodka, gin, and the first-ever Caviar-Infused and Truffle-Infused vodkas. From this great foundation of historical, pioneering wineries in France and California, Jean-Charles’ sets forth a vision of the wine world centered on family, passion, history, innovation, a commitment to fine wines, and a dedication to sustainable winegrowing. Decanter magazine has included him on its “Power List” of the 50 most important people in the wine world each year of its publication since 2007; in March 2008, he received the Meininger’s International Wine Entrepreneur of the Year; and in December 2008, he was named “Innovator of the Year” by Wine Enthusiast Magazine. The French-American Foundation awarded him their first-ever French-American Partnership Award in 2013, bestowed upon an extraordinary individual or organization that has contributed to creating a strong and enduring French-American partnership in business, government or academia. Haute Living Magazine named him to the Haute List San Francisco, recognizing the 100 most influential people in the San Francisco Bay Area. He was honored with the 2014 Jefferson Award by the Pennsylvania Academy of Fine Arts, which celebrates the museum’s historical connection to wine. Also in 2014, JFK University in Concord named Jean-Charles and his wife Gina Gallo its “Entrepreneurs of the Year.” In 2015 Jean-Charles was named an Honorary Co-Chair of that year’s Sonoma Harvest Wine Auction, which broke all records by raising a staggering $4.5 million. In March 2017, Jean-Charles and Gina received the Mondavi Food & Wine award Robert Mondavi Wine & Food award by The Collins College of Hospitality Management in honor of their vision and leadership to advance the wine industry.